Mere hours after giving a moving speech on Monday Night Raw after an 18-year hiatus, The Ultimate Warrior has passed away at the age of 54 on Tuesday evening. The Daily Zombies mourn one of the greatest pro-wrestling icons of all time. Here at The Daily Zombies, we have wrote our fair share of eulogies for the likes of legendary film-makers, artists, musicians, writers, politicians, to relative small-time actor who somehow left a mark on our collective memories. However, like many would have noticed, most of the time we are paying tribute to the tragic demises of pro-wrestlers. While it is always a depressing chores to offer our meagre farewell and tribute to pro-wrestling legends such as "Macho Man" Randy Savage, news of the unexpected demise of the pro-wrestling legend today has hit us with tremendous impact not unlike his signature energetic whirlwind offense that despite their limitations, captivated the hearts and minds of pro-wrestling fans globally. Especially those growing up in the late 80s. Especially us. The Ultimate Warrior has passed away at the age of 54 on Tuesday evening (8th April, 2014) while walking to his car with his wife, Dana, outside of their hotel in Arizona. He was later pronounced dead when arrived in the hospital. 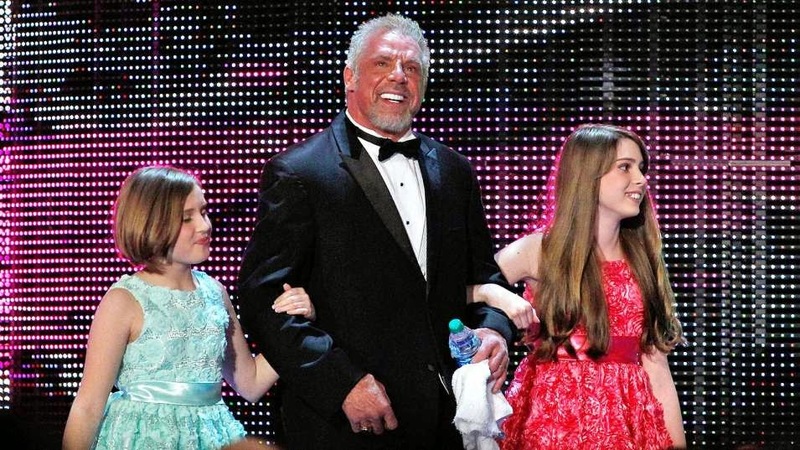 In an incredible twist of fate, many would have argued that had The Ultimate Warrior not made his public return during the WrestleMania weekend to be the headliner of the WWE Hall of Fame Class of 2014 followed by an impassionate speech in-character at the subsequent Monday Night Raw, news of his unexpected demise would have been less impactful. But like the dramatic psyched-out character that Warrior has played throughout his storied career, his final speech turned out to be foreboding of his eventual demise while giving every fan out there a proper farewell no other pro-wrestling legends have had the chance to. And that fact alone makes this the most difficult eulogy we have ever tried our hands on. After all, how and what can we write to eulogize The Ultimate Warrior when he himself did the perfect eulogy in the public's eye hours before his eventual death. One of the truly controversial figures in the industry, Warrior's rise and fall have been much chronicled with more perspectives than any other pro-wrestling legends. Born James Brian Hellwig, Warrior embraced his character fully by changing it legally to Warrior in 1993. When inducting Warrior into the Hall of Fame, former WWE Chief Executive Officer Linda McMahon made it a point to highlight the fact that the name was not change to "Jim Warrior" nor "Warrior Hellwig", but just simply "Warrior", with his wife and daughters adopting it as their last name. After debuting in WWF in 1987, Warrior soon became an unstoppable force of nature with his high-energy ring entrances, dominating physique, dramatic antics, and whirlwind-like energetic offenses. After winning the Intercontinental Championship with a 27-second defeat over The Honky Tonk Man at the inaugural SummerSlam in 1988, Warrior's popularity soon sky-rocketed with well-received feuds against Ravishing Rick Rude and Andre the Giant. It was then just a matter of time before Warrior take on Hulk Hogan, and the famous match meant to pass the torch of the face of the company took place at WrestleMania VI. Billed as The Ultimate Challenge, an unprecedented stipulation was imposed for both Hogan's WWF Championship and Warrior's Intercontinental Championship to be on the line. As we all know, the SkyDome in Toronto, Ontario, exploded as Warrior defeated Hogan via pinfall after a Warrior Splash. Unfortunately, Hogan would went on to pass his notional "torch" numerous times in his later career while Warrior's gradually went downhill with a few peaks here and there with feuds against "Macho Man" Randy Savage, Jake "The Snake" Roberts, and The Undertaker. What followed here would be a longstanding series of lawsuits between Warrior and WWF. While Warrior did return to WWF on several occasions, these are mostly short stints and eventually Warrior went on to join WCW for a mostly uneventful run (a running pattern for most who jumped ship to WCW). Warrior then enter semi-retirement, appearing sporadically to wrestle and spending most of his time as a motivational speaker and writer. In 2005, WWE released "The Self-Destruction of the Ultimate Warrior" DVD, completed with mostly unflattering commentaries from WWE Superstars and clips of notable matches in the storied career of Warrior. Warrior filed another lawsuit against WWE took place but was eventually dismissed. Then came 2013 when The Ultimate Warrior finally come to terms with WWE to appear in the wildly popular video game series for the first time with a hilarious trailer to boot (hit the jump to check it out). 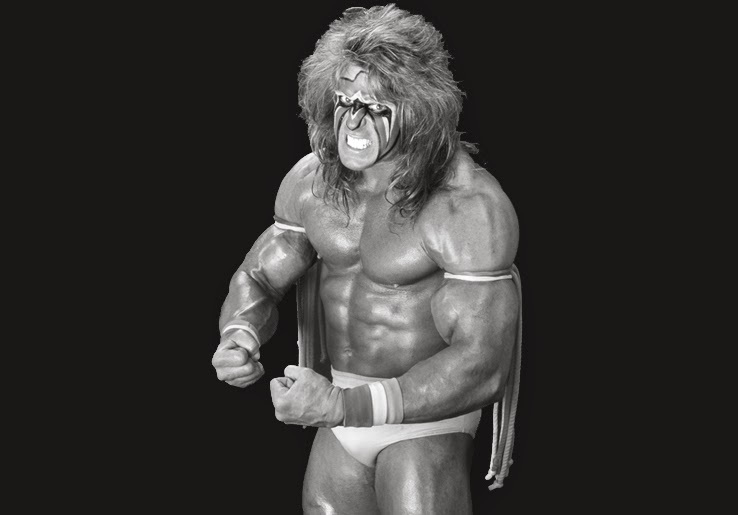 While Warrior is no doubt the source of widespread disdain from many in the industry with his remarks on homosexuals and many other colleagues, we can however see his efforts to mend the fences when he was inducted at the Hall of Fame. In addition, we also noticed something that we never saw in Warrior: That he is a loving husband and father. When Warrior was escorted by his two young daughters, Indiana and Mattigan, to the stage, we saw a human, not an over-the-top, larger-than-life controversial individual who will hang on to his beliefs till the end of the world. "No WWE talent becomes a legend on their own. Every man’s heart one day beats its final beat. His lungs breathe their final breath. And if what that man did in his life what makes the blood pulse through the body of others and makes them bleed deeper and something larger than life then his essence, his spirit, will be immortalized. By the story tellers, by the loyalty, by the memory of those who honor him and make the running the man did live forever. You, you, you, you, you, you are the legend makers of Ultimate Warrior. In the back I see many potential legends. Some of them with warrior spirits. And you will do the same for them. You will decide if they lived with the passion and intensity. So much so that you will tell your stories and you will make them legends, as well. I am The Ultimate Warrior. You are the Ultimate Warrior fans and the spirit of Ultimate Warrior will run forever." Hit the jump to check out the full speech. True to form, Warrior's signature gnarling yet somewhat inane rantings will be the perfect final words and closure that we will remember him by. For a character steeped in supernatural-like mysticism, it is strangely appropriate for the one and only Ultimate Warrior to exit from our lives in such ironic ways. From all of us here at The Daily Zombies, who are pro-wrestling-crazed kids who grew up in the 80s, we would like to extend our appreciation and gratitude to Warrior for his inspiring work that entertained the hell out of every sensible pro-wrestling-watching kid in the 80s and transforming the industry in ways that are immeasurable for generations to come. Our thoughts go out to Warrior's wife and daughters at this difficult time. RIP, Warrior. The spirit of Ultimate Warrior will run forever. In closing, we take a look at several responses from some of the biggest names in the industry via Twitter. I’m in shock. 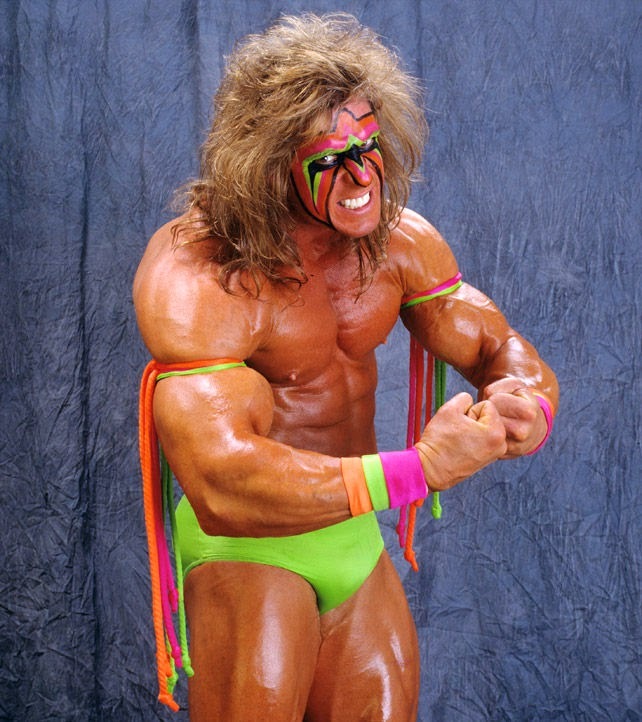 The Ultimate Warrior has passed away. I just met him yesterday. RIP. I’ll always believe!!! I am privileged to have spent some time with Warrior on Sunday and shake his hand. Rest in peace. 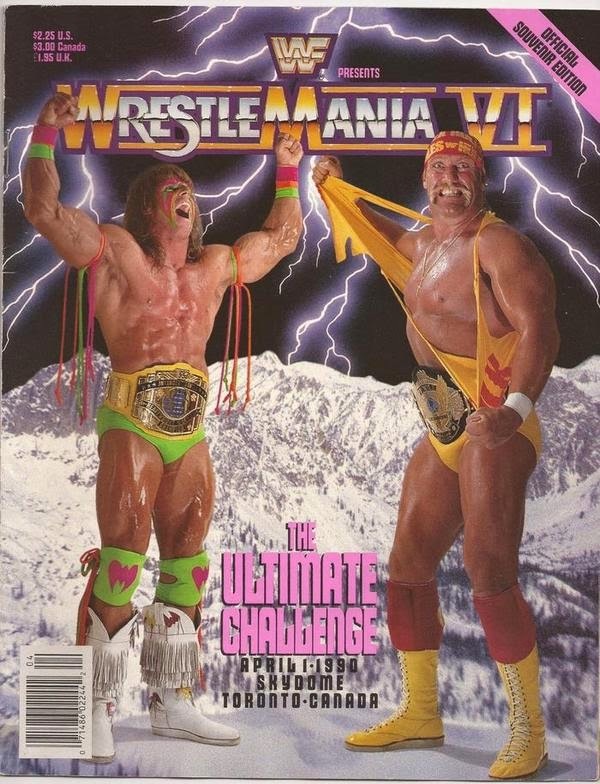 Really saddened to hear about @UltimateWarrior passing away. RIP A tremendous legend. Thoughts and prayers go out to Warrior and his family. Incredibly sad to hear this news. I just don't know what to say....Warrior was a huge part of why I fell in love with pro wrestling...Life is too damn short.